Dance education is a pathway to many things. It can be a powerful and exciting exploration of physical, spiritual and emotional dimensions. This is a fundamental component of dance. While it requires the most discipline and commitment, it also offers many rewards. From a better understanding of your own architecture, to control over your strength, power and balance, to the ability to integrate controlled and unbounded energy, a technical study of dance will enhance awareness that contributes to enjoyment and fulfillment in multiple other aspects of life. The capacity to freely move, and discover what your body has to say, is an important adventure. The intimidation factor can be high, but given some inspiring structure and instruction, both solo and ensemble investigations can be a source of interesting discovery. It is a practice that leads to other transferrable skills and is applicable in many contexts. Dance is an art form that can communicate. Where words end, dance begins. 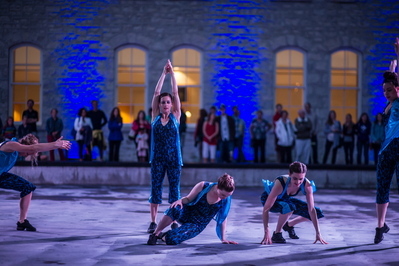 When dance is designed to speak to audiences and calls on shared human experiences, through the manipulation of movement vocabulary, spatial and relational dynamics, narrative and/or pattern languages and other aspects of visual interest, people can be impacted in many ways. An inextricable part of dance education is that of rhythm. The division of time, whether regular or irregular, in familiar or unfamiliar patterns, generates an emotional response that can be physically expressed. Learning to "feel" rhythm and music is fundamental component of many dance traditions from around the world. 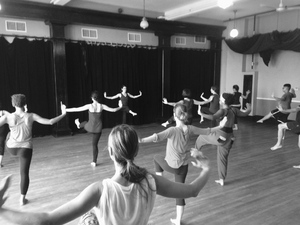 IMAGEO offers dance education in workshop settings, or in ongoing class sessions. 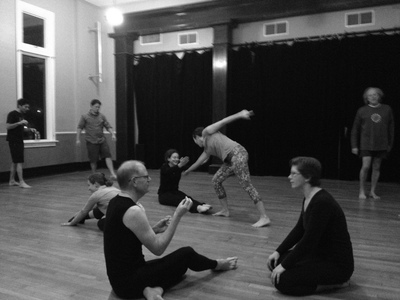 If group classes seem intimidating, private movement coaching sessions are also an option. Become aware of your physical self through repeated sequences that build slowly to increase strength, flexibility, balance and grace that is both grounded and free. 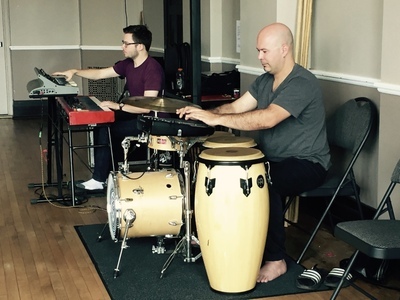 Allow habits of tension, holding and stuckness to change while enjoying music and rhythm. Personalized attention can elevate your pace of learning and augment other practices such as yoga, martial arts or sport.